Discussion in 'Roller Coaster Construction' started by CrashCoaster, Oct 23, 2016. Whoa, that has got to be one of the wonkiest artist's impressions I've seen today. I can't find a single stretch of track in that image where the banking is anywhere close to sane, the supports are inconsistent at best, and what is the track doing on the left there? It doesn't seem like this drawing is based on any finished plans for the coaster, because nothing in the world of artistry could make a well-engineered coaster design look so fundamentally bonkers as this. 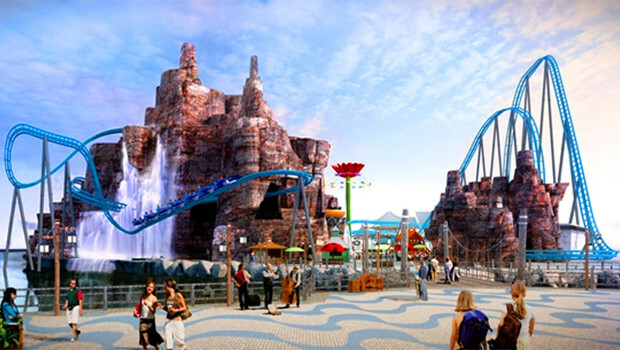 I suppose it is nice concept art if one has no knowledge of coasters whatsoever, but with any amount of insight, the extreme badness of the drawing distracts from the overall impression of the image. Some points to the artist for the cobblestones, I suppose. Those look really neat. This coaster isn't scheduled to open until September 2018 so this topic is probably a bit early. But then again we have a Blackpool one so what the hell. The park is also due to open a Mack Blue Fire clone and an Intamin double twist impulse coaster. As for the B&M Wing Coaster here is the much much better concept art that was released later on. 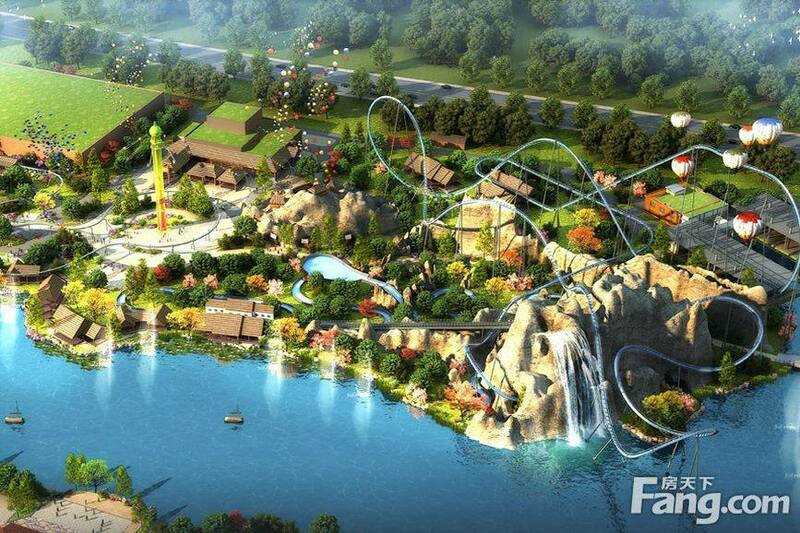 Arguably the best layout of the 4 planned Chinese Wing Coasters. In my opinion, the start's a little overdone - I personally would replace the zero-G roll with a vertical loop instead. It seems the light blue and beige track seen at the B&M plant was not for Toverland after all. Pokemaniac and Sneaky like this. Anyone else think the rcdb listed stats are legitimate?? Seems quite massive for a B&M wing coaster, but then again I've always thought the wings would make for a fantastic (near) hypercoaster. The first element is also listed as a dive drop so we may be looking at a new inversion height record breaker! Oooooh, a Hyper with wing trains with Mack restraints incorporating a dive loop as a turnaround and a couple of zero g stalls would be incredible. Not sure what the height record for a wing is currently, around 180/190ft? So I wouldn't be that surprised if the stats were correct. Well technically it is Eejanaika at 249 feet...Dinoconda is 2nd at 226 feet so this would be third. However it would precisely tie with Parrot Coaster for the length record at 4192.9 feet. Seems a bit questionable that it is listed as the exact same length. Seems a bit questionable that it is listed as the exact same length. The last time somebody said something like that, I converted the units and it turned out that the quoted length was a very round and generic number - 2000 meters or something like that. But 4192.9 feet equals 1278 meters, hardly a rounded-off estimate of ride length. Could this be a clone of Parrot Coaster? The original appears to sit on rather flat land, so it wouldn't be unfeasibly difficult to clone. Layout wise its very much not a Parrot coaster clone. There's a video from Masane Miyapa of the expected layout here. Sneaky, Jake Martell, Pokemaniac and 1 other person like this. Double post but here is the artwork for the Intamin Impulse due for this park as well. Coaster Hipster, Hutch, Sneaky and 1 other person like this. If that NL2 pre-creation is to be believed, I love the section from the Immelmann to the MCBR. Looks like it'll have good flow and a nice mix of forces. That impulse also loks great, I want that in my life. Shots of the new B&M Wing Coaster going up. That is one seriously long brake run. What the ? That's HUGE. Will the impulse use LIMs, or will they have altered the design so it has LSMs instead? Unknown at the moment. You'd have to assume they have updated the system as its been a while since anyone picked up an Impulse. The Intamin Reference list just has this down as Double Twisted Impluse Coaster though. I thought the last picture was of an elevated highway for second...I guess this makes it even more likely that it will actually be 60 meters tall. DelPiero, Pokemaniac, Sneaky and 3 others like this.